Ford of Australia today announced that it’s manufacturing plants in Broadmeadows and Geelong will cease operations in October 2016. The bottom line is a loss of $600 million in Australia over the past five years ($141 last year), and the very high cost of manufacturing in Australia – 4 times that of other locations in Asia and double that of Europe. 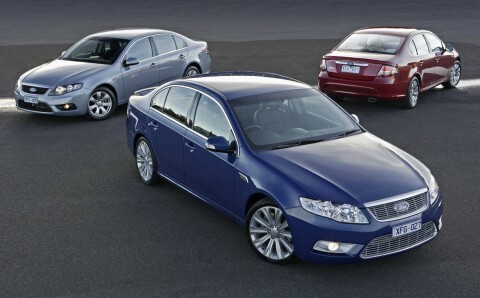 The Falcon, Falcon ute and Territory will continue to be manufactured until 2016. Plans for those models after that are unannounced, but the future for them as rear wheel drive vehicles looks impossible since their platform is an “orphan” – not used anywhere else in the world. Same for the 4-liter inline 6 cylinder produced in Geelong. Updated versions of the Falcon and Territory scheduled to arrive next year will still do so. Ford will also retain a design and engineering center in Broadmeadows, which is working on global designs. The Falcon nameplate will come to an end when production ceases. Undecided at this point is any future participation in motorsports from Ford of Australia.